Missing one or more teeth can have a significant effect on your life. It can hurt your communication skills by causing mumbling or inarticulateness. Eating can be uncomfortable because of the necessity of avoiding the missing teeth. It can also negatively impact your overall oral hygiene. But for many people the worst side effect of missing teeth is a blow to one’s self-confidence. When you have missing teeth you may be less likely to smile or feel comfortable talking around new people. Beverly Hills Periodontics & Dental Implant Center is committed to boosting the self-confidence of our patients through the intelligent use of the kind of dental implants Los Angeles area patients ask for. For the assistance of the best periodontist Santa Monica and Westside residents, Beverly Hills Periodontics & Dental Implant Center offers a range of services. 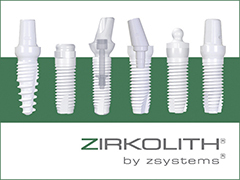 We are particularly known for our dental implants that are fused to the bone with titanium roots. These implants can last a lifetime, as long as proper care is taken. The hard-working, talented staff has dedicated their careers to using the latest technology and most innovative techniques to give patients the best care possible. Not only do we offer the best options for dental implants in Beverly Hills, but other periodontal services like laser gum surgery, crown lengthening, soft tissue grafting, and disease prevention are offered. For the finest in periodontal treatments, look no further than the services of Beverly Hills Periodontics & Dental Implant Center. A dental implant can make you feel good about yourself again. Call us today to get started on the beautiful new teeth that will make you fall in love with your smile.